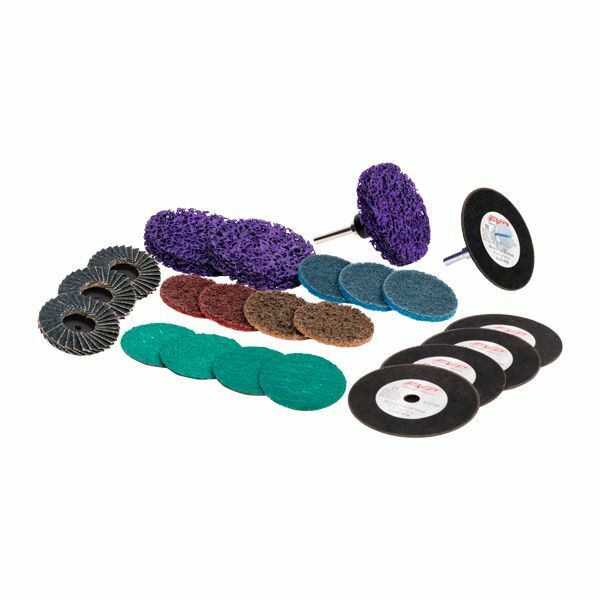 The new FVP Abrasives line offers grinding discs, surface conditioning discs as well as cutoff wheels. 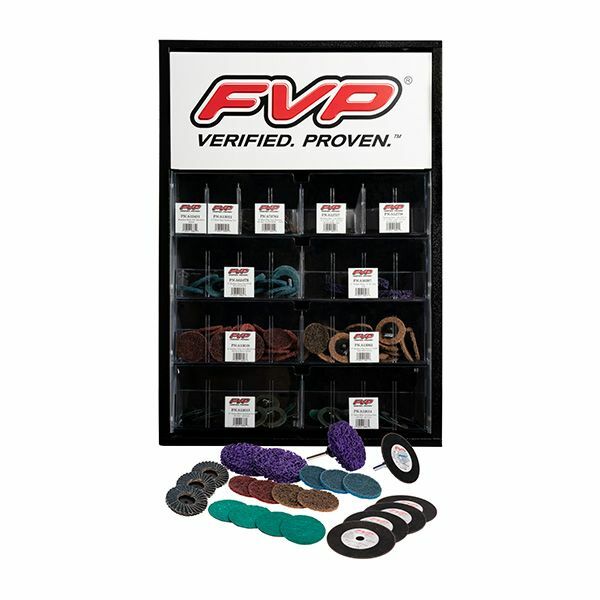 Whether you are grinding, sanding, resurfacing or cutting, FVP Abrasives has a solution to meet your needs. 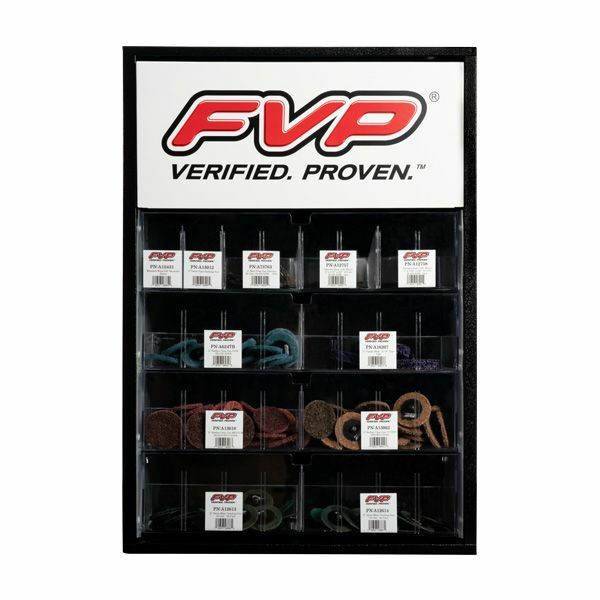 Designed by professionals, for professionals and made from the highest quality raw materials, FVP Abrasives last longer and outperform the competition. 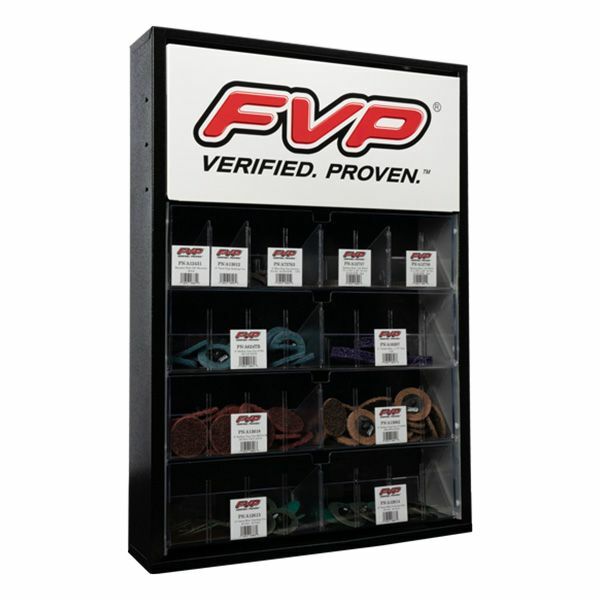 Cabinet comes empty with door stickers for FVP abrasives products and blank stickers for misc. other items.